After the installation work (automatic valve, timer, water spray nozzle) was completed, it was commissioned. It worked well. Management of the coming season is easy and there is no worry about going out. This review is about item#07552562. This review is about item#7552571. Although it wrote that it is extremely low in trouble and excellent in durability, I used it in the outdoors for one winter We tried trial operation for this winter and it was not working so we bought the same item in a hurry. The price is reasonable, but durability is questionable. I hope improvement. It was smooth movement and no hammer sound and it was OK even when driving on / off of the motor at the same time. This review is about item#7552675. The delivery date may be earlier. The price is also GOOD. This review is about item#07552587. I bought it for the prevention of water hammer. 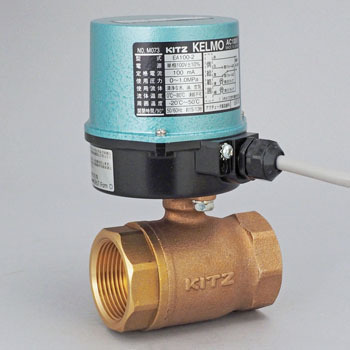 Compared with solenoid valves, the price is high, but because of its small size, the installation space is almost unchanged, and the flow rate is not narrowed so much despite being a reduce bore but I am satisfied. If the price is a bit cheaper, I would like to exchange all solenoid valves that I am currently using with electricity. I decided to adopt various items to consider and it was saved as a motor-operated valve being offered cheaply. The method of operation is also <Supplemental pattern of power supply> Simple and operation was also sure I am satisfied I also want to adopt it. This review is about item#07552666. This review is about item#07552684. I think that it is well done.